See more objects with the color darkslategrey gainsboro darkslategrey dimgrey slategrey or see all the colors for this object. This and 3 other objects are a part of a set whose first object is Set Of Earrings And Bracelets, 20th century. This is a Bracelet. It is dated 20th century and we acquired it in 1989. Its medium is plastic. It is a part of the Product Design and Decorative Arts department. 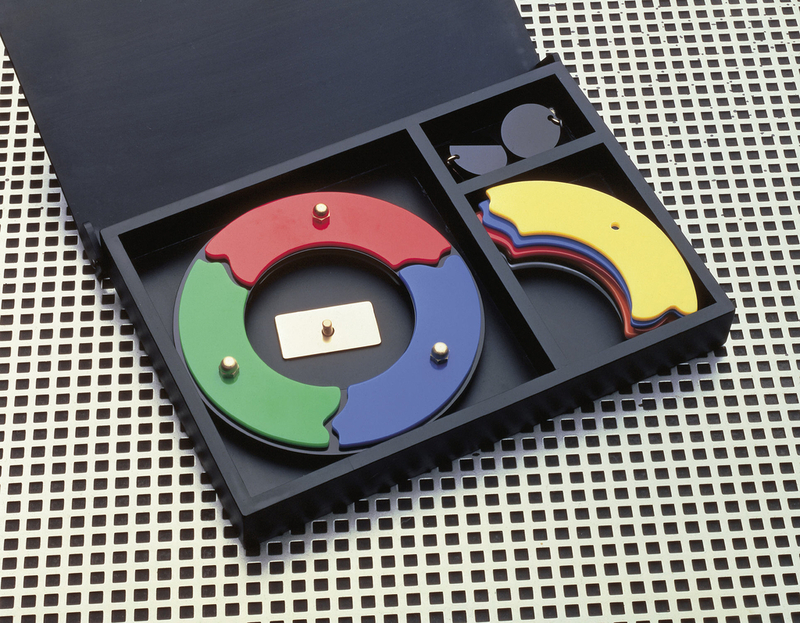 This object was fund: Decorative Arts Association Acquisition Fund. It is credited Museum purchase from Decorative Arts Association Acquisition and Monet Jewelry Funds. 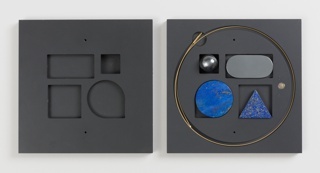 lapis lazuli, hematite, gold, painted wood (box).